The ultimate in personalization functions offer the ability to alter the content displayed on the interior and exterior of the Fun-Vii with the same ease as downloading an application. For instance, the whole vehicle body can be used as a display space, with the body color and display content changeable at will. This allows the entire vehicle to function as a terminal for displaying messages or other information. The whole of the vehicle interior also can function as a display space, with the interior freely adjustable to match the mood of the moment. Content such as navigation information is blended seamlessly into the interior through the use of augmented reality. Furthermore, the vehicle’s “navigation concierge” can provide the passengers with driving information and guidance through a vocal interface. A network update function makes sure the software versions for the vehicle’s drive, control and multimedia system are always up-to-date. The Fun-Vii is able to link with surrounding vehicles and infrastructure, allowing it to detect other potentially hazardous vehicles—such as vehicles in blind spots—in advance, or to connect with friends who are driving nearby. Operation of the Fun-Vii is not limited to inside the vehicle itself, with a portion of the vehicle’s functions access able remotely via a smartphone or other mobile communication device. 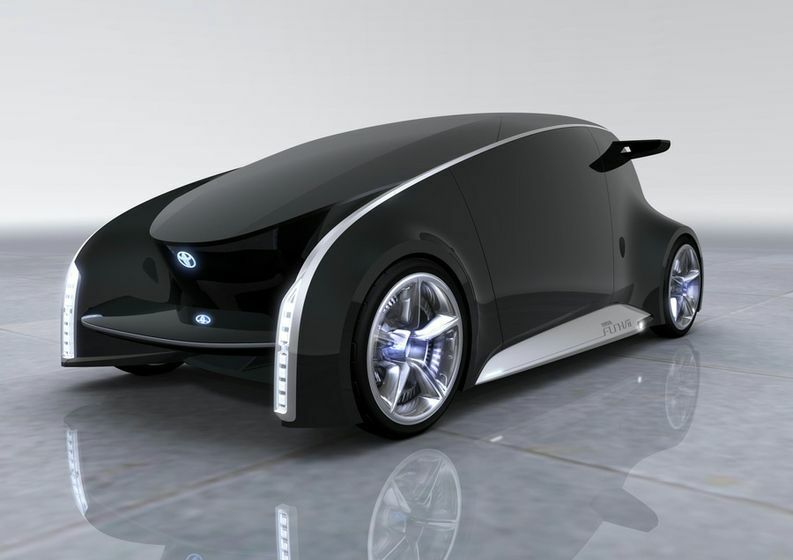 Under the slogan “Fun to Drive, Again.”3, TMC is offering fresh proposals to provide the dream and joy of motor vehicles to as many people as possible, and in addition to the Toyota Fun-Vii, is displaying a variety of other concept cars at the Tokyo Motor Show 2011. 1Vehicle, interactive, Internet 2Press days: November 30 and December 1; special guest day: 2; public days: 3-11 3Revival of Toyota-brand catchphrase “Fun to Drive”, used in domestic Japanese advertisements from 1984 to 1987.